The Cessna 510 is the Cessna Mustang 510 or the Cessna Citation Mustang, as commonly referred to. The Cessna 510 is a very light jet build by the Cessna Aircraft Company in Kansas. The Cessna Mustang is designated as the Cessna 510 model by Cessna or the C510. The Cessna Mustang 510 is built on the reliable performance of the Cessna line of aircraft. Currently the Cessna Mustang 510 is one of the most reliable very light jets on the market. The Cessna 510/Cessna Mustang can be flown by one pilot in IFR (Instrument flight rules) and VFR (visual flight rules) conditions. The Cessna Mustang 510 's features and size puts it right in the middle of the very light jet category in terms of performance, size and cost. This makes the Cessna Citation Mustang 510 one of the most affordable and reliable very light jets available. 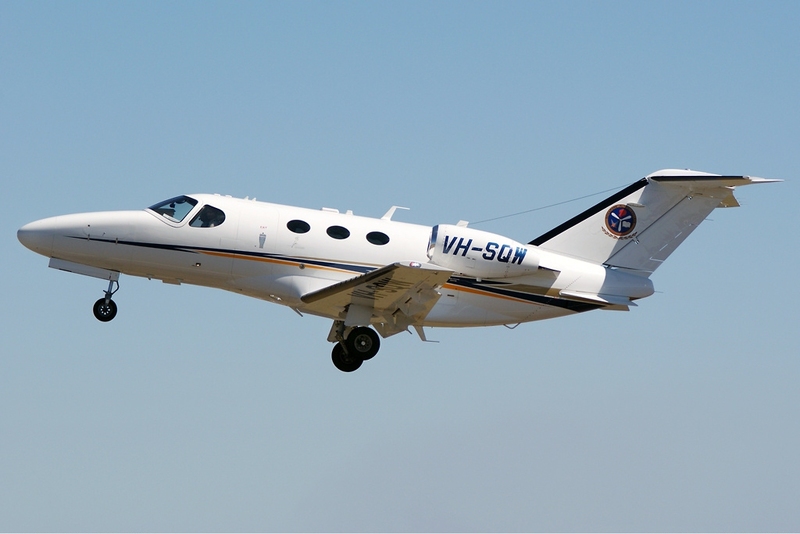 To learn more about the Cessna 510/Cessna Mustang 510 visit the other pages dedicated to the Cessna 510 on the Sun Airlines website. Cessna 510 Photo by: Phil Vabre on Wikimedia Commons. Photo released under the GNU Free Documentation License, Version 1.2.